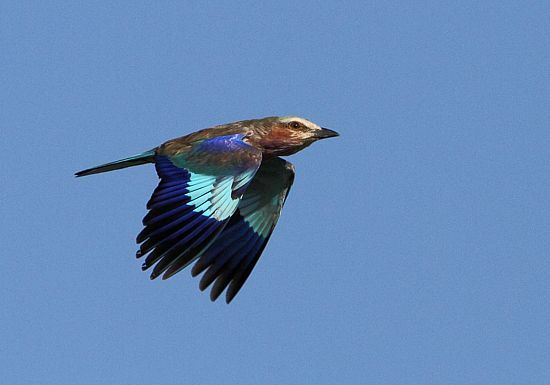 With news breaking earlier in the week of a Lilac-breasted Roller, a new bird for the Western Cape, being discovered just south of Merweville in the Karoo, we were very keen to chase after it for our provincial lists. We drove up to Laingsburg on Friday night and overnighted there before heading out to the site early this morning. Arriving at the spot, we were faced with a fairly large patch of suitable habitat and were a little nervous about actually finding the bird but, within 15 minutes, we had located it. It was a little skittish and we could never get close enough for decent photos, but nevertheless, it was a great bird to get for our provincial lists with the previous nearest record to this being at least 600km to the north-east. After spending a bit of time with the bird, we eventually had to start the long drive back to Cape Town to get back for a commitment in the evening, but it was all worth it in the end.